The new Aspen Onyx is the perfect addition to any display, or make it your center piece. Included with this sturdy banner display is a rectangular steel base the same width of the frame which helps to maximize the balance of the display. 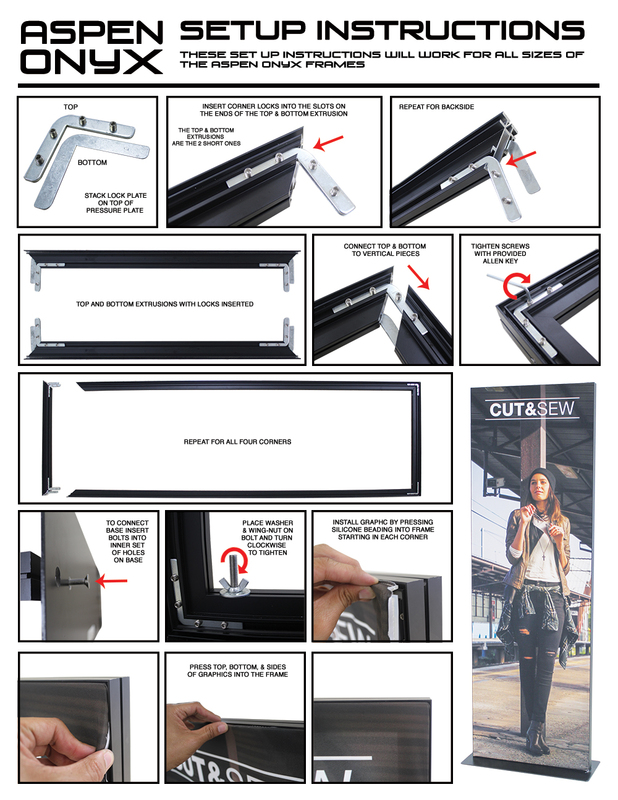 This wall frame stands on its own like a retractable banner stand and is available in widths of 2ft., 3ft., 4ft., or 5ft. and heights of 6ft., 7ft. or 8ft. The bannerstand includes fabric silicone edge graphics, or SEG.